August 23-25 North American Championship, Mission Bay YC, San Diego, CA. Oct 19-20 Jack Dane Pass Christian MS June 2020(late) Nationals, Corpus Christi Yacht Club, Port of Corpus Christi. 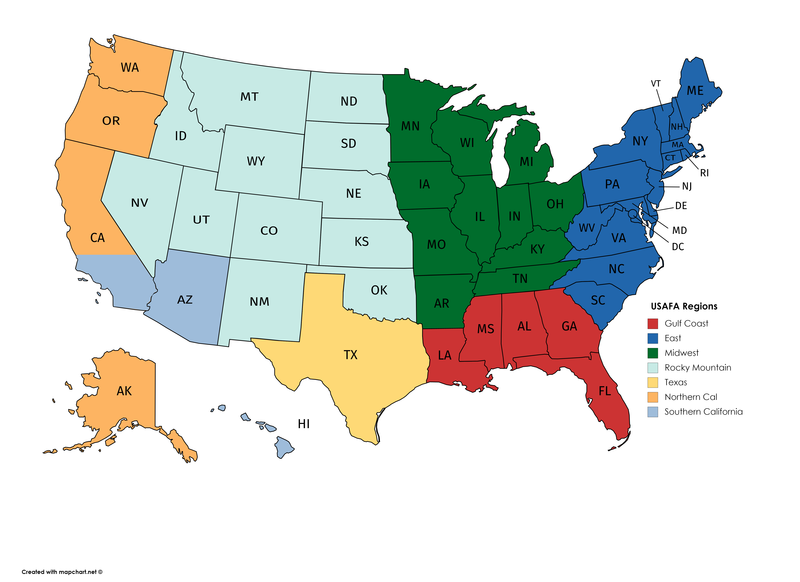 New USAFA Regional contacts and map were added to our home page! The 2019 SoCal Finn Schedule is available here: Finn Calendar 2019 (f) So many regattas, so little time! This is the home of the North American Finn Sailing where you will find our race calendar, information on regattas, sailing technique and advice, a forum & marketplace plus all the info you need to start Finn sailing. The Finn is an outstanding boat originally designed by Rickard Sarby for a contest to find a boat for Scandinavian sailing and the 1952 Olympics. Since then it has been featured in every Olympics. An outstanding technical boat that favors boat handling and tactics over straight line speed. With the unlimited pumping downwind in over 10 kts, it is a truly physical boat that rewards the athlete willing to work hard. Most dinghies are built for smaller stature people but not so the Finn. The Finn is a big man’s boat with average crew weight over 200 lbs. The great attraction of the Finn is that you don’t need a brand new boat to be competitive – top regattas are regularly won by 10-yr-old boats. A growing route in for sailors on a budget is the ‘Classic with Carbon’ option – any pre-1985 hull super-charged with a second-hand modern rig. Classic boats are warmly welcomed at all NA Finn Class events and are often seen in the top 10 with the Modern Race Boats. On the day of the World Sailing Annual General Meeting, the US Sailing delegation joined in voting to eliminate the Finn, which is The pinnacle event of the competition, from the Olympic Regatta. This was in part because the Finn had been put in an impossibly concocted Event called Mixed Singlehanded Dinghy six months before. Gary Bodie is on the Events Committee which concocted the single Medal Mixed Singlehanded Dinghy Event. You can watch both statements on http://www.sailing.org/news/88119.php#.W_kwZoXZd7c. Cory Sertl’s is at 0:59:20 to 1:00:50 and then Gary Jobson’s is at 1:03:40 to 1:11:15. In contrast György Wossala’s statement objecting to the change is at 1:56:30 to 2:00:30; any time György has something to say it pays to listen closely as he almost always turns out to be about 99% spot on. The annual cost of an Olympic campaign in the Mixed Offshore Keelboat, excluding the cost of the hulls, as estimated by four professional sailors with successful Finn Olympic campaigns, big boat campaigns, double handed transoceanic races, Volvo and AC experience is a minimum of $250,000 up to $600,000. The range is the result of unknown factors in the undefined event. All would want a three boat campaign: two for training and one in a container traveling to competitions in order to be competitive. The training would include participating in transoceanic events. Given the Olympic funding troubles of US Sailing it is hard to see how the US will be able to field a competitive pair in this event. This fight over the Finn will continue and escalate. A final decision does not have to be made until December 2020. We urge you to contact the US delegates to World Sailing to let them know what you think.